Photographs by Timothy H. O'Sullivan. Text by Keith Davis and Jane Aspinwall. Nelson Atkins, 2011. 260 pp., illustrated throughout, 7¾x2½". Clarence King's Survey, undertaken between 1867 and 1872, covered a vast swath of terrain, from the border of California eastward to the edge of the Great Plains. It was the first survey to include a full-time photographer-Timothy O'Sullivan-who produced about 450 finished photographs in large-format and smaller-format stereographs. O'Sullivan's images convey a distinct individual quality of perception, at once direct and laconic, as well as a perfect union of objective fact and personal interpretation. As such, O'Sullivan remains the most admired, studied, and debated photographer who worked on the great western surveys of the 19th century. 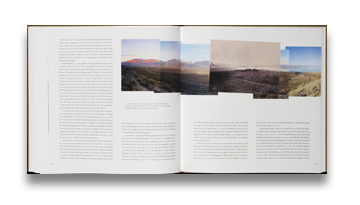 This handsome and enlightening book aims to enrich and enlarge our understanding of O'Sullivan's pivotal body of western photographs by emphasizing the idea of 'context.' This ambition encompasses several frames of reference: O'Sullivan's best-known images in relation to his larger body of survey work; the function his photographs served in relation to the survey's overall goals and methodologies; and the King Survey itself as a logical part of a complex and prolonged expeditionary endeavor. The volume also includes an essential catalogue raisonne of O'Sullivan's King Survey work. 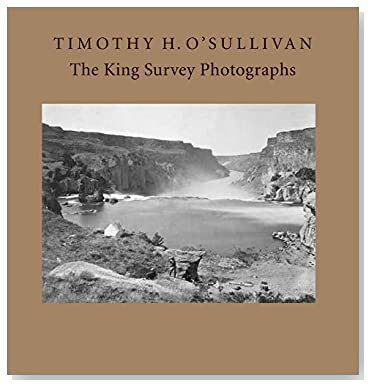 Read Adam Bell's review of Timothy H. O'Sullivan: The King Survey Photographs in photo-eye Magazine.